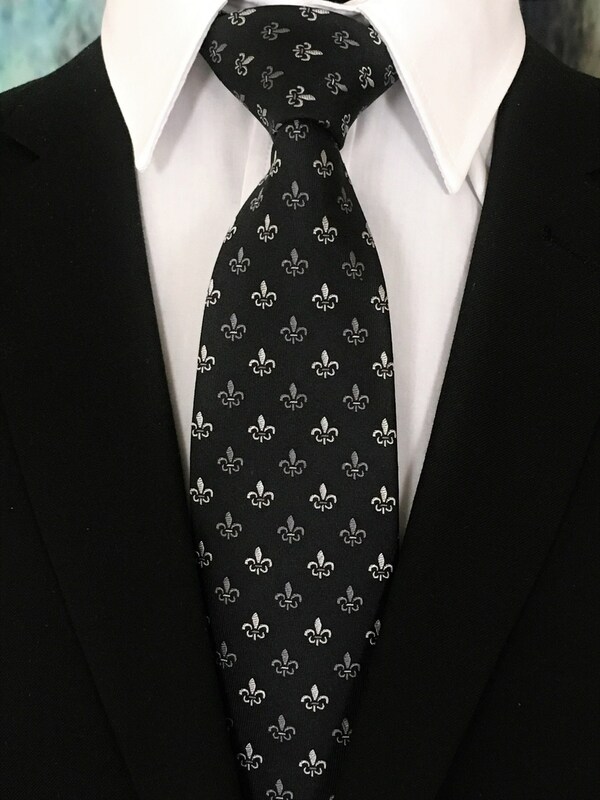 Perfect for a black tie wedding. 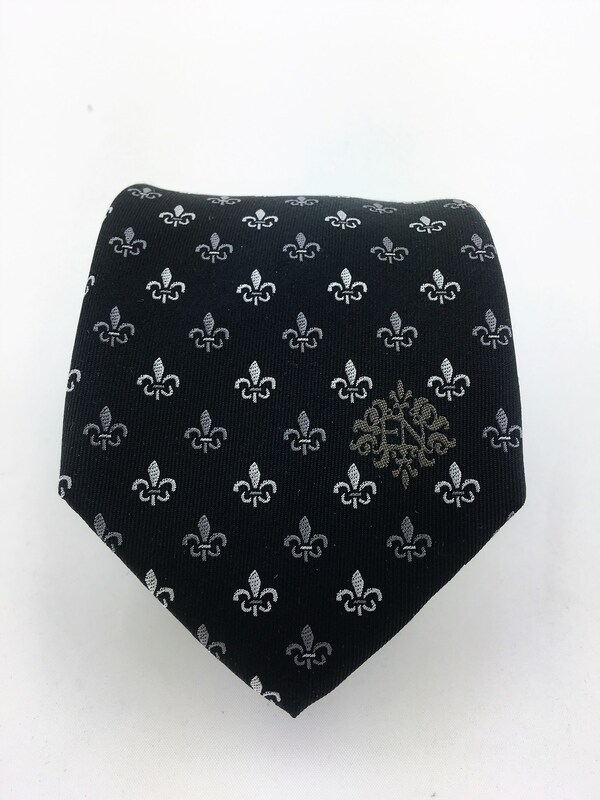 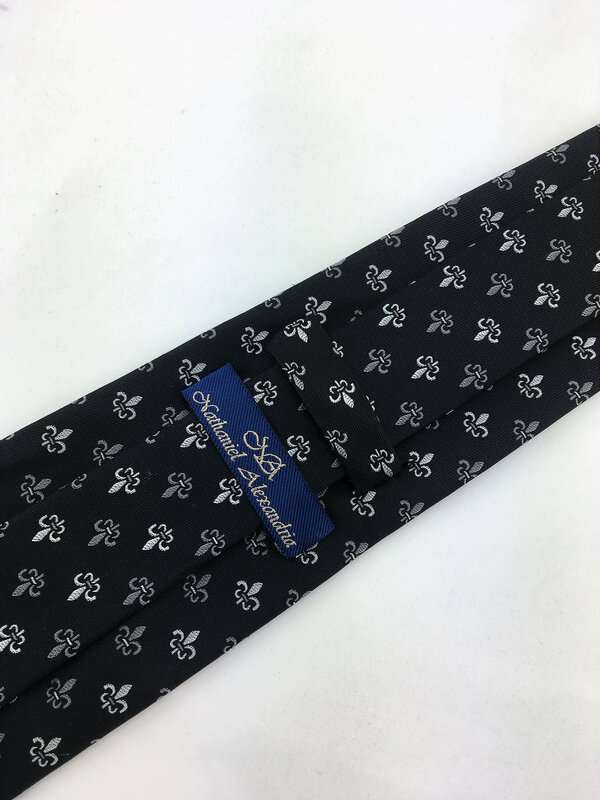 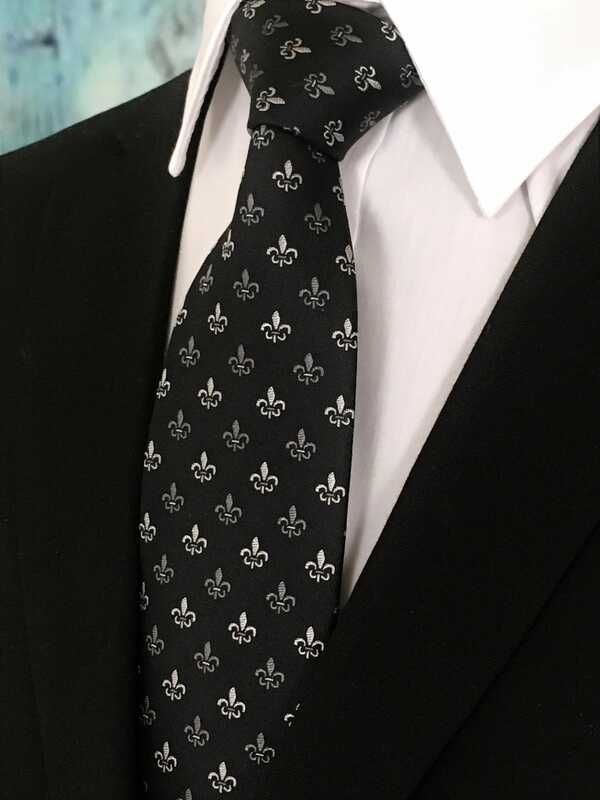 This black tie with Fleur De Lis design is a classic must have tie. 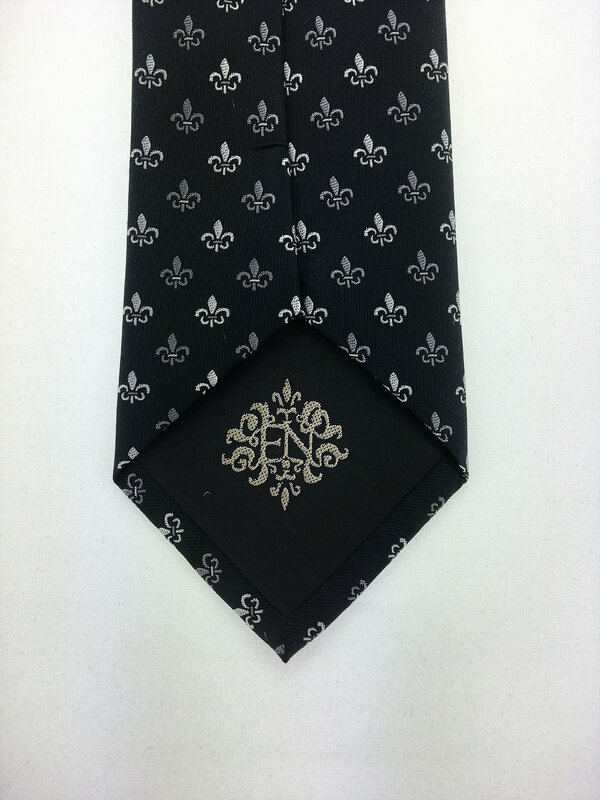 Available as a extra long neck tie.